Calle Guadalupe Victoria has some new tenants! 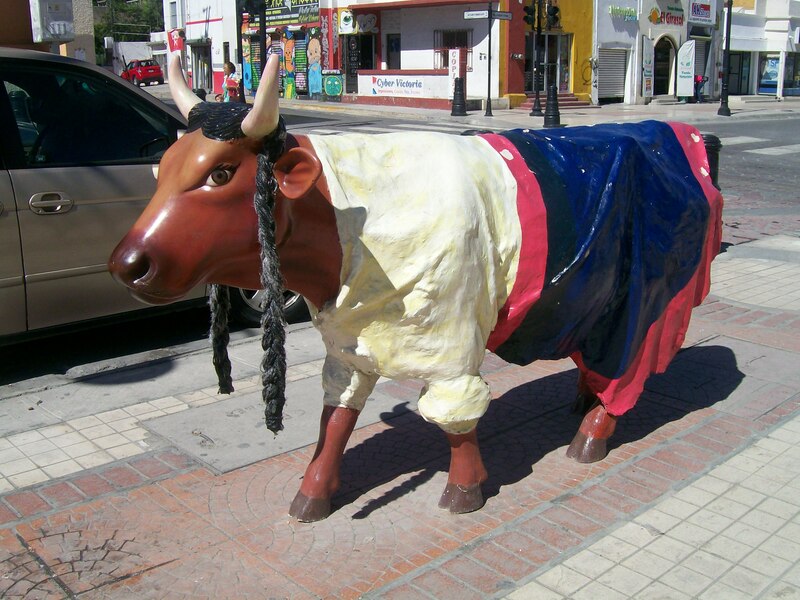 For a few weeks, Saltillo is hosting a “Cow Parade”. 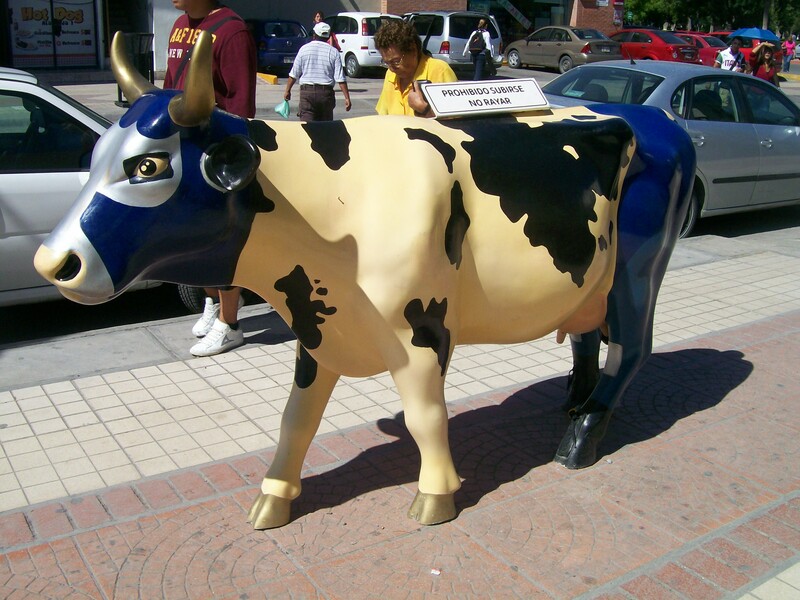 This idea was begun in Switzerland and gained fame in Chicago 15 years ago or so. 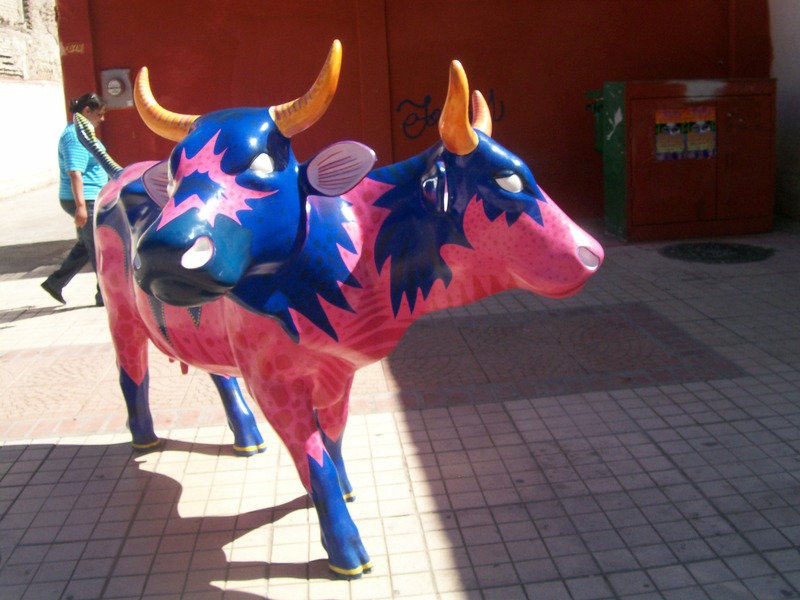 Cities around the world have sponsored artists to paint these fiberglass cows and set them up on sidewalks throughout the city. 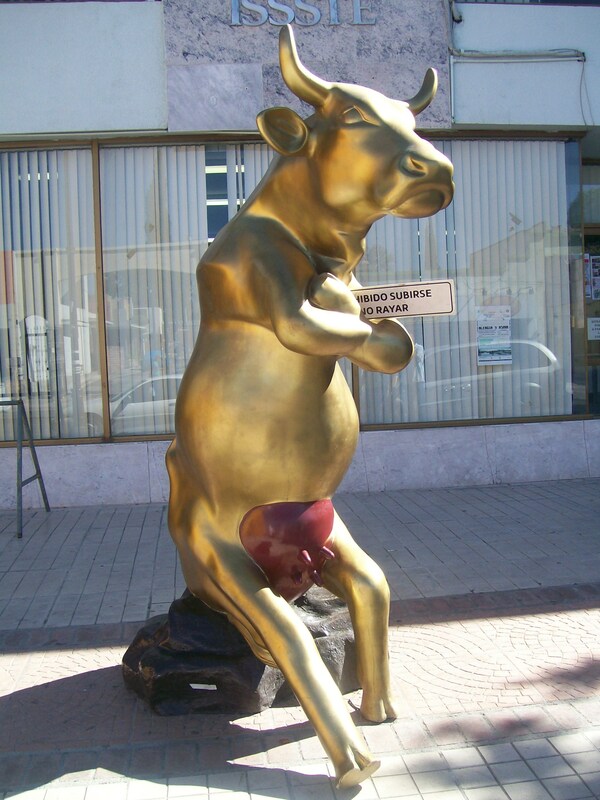 In Saltillo, instead of being interspersed throughout the city, they´ve been herded onto Guadalupe Victoria, within a block or two of the Alameda. 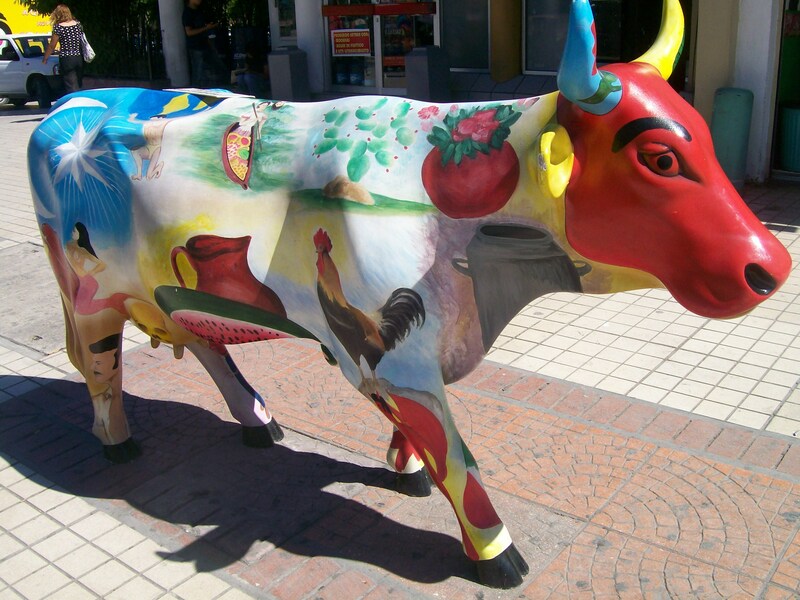 Unfortunately, the art on these cows is not native to Saltillo. 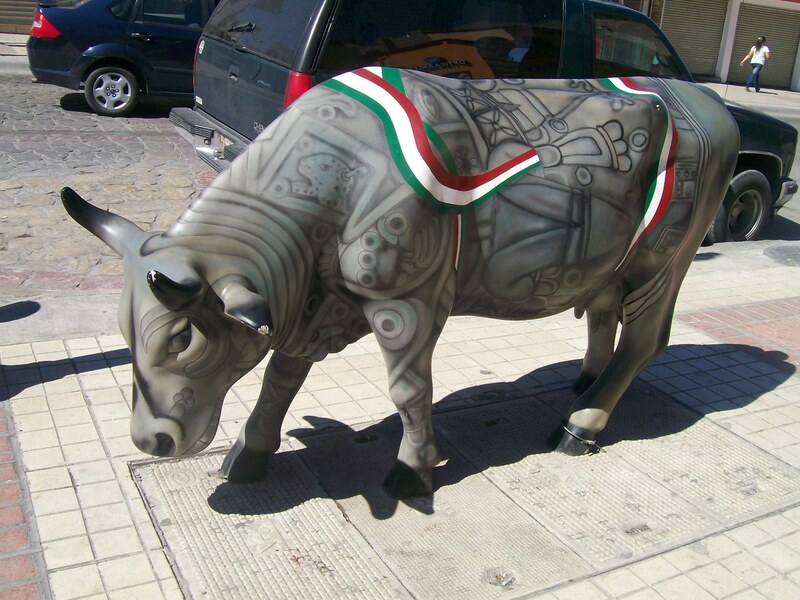 Mexico City had these cows on parade in 2005 and they´re on loan here in Saltillo. 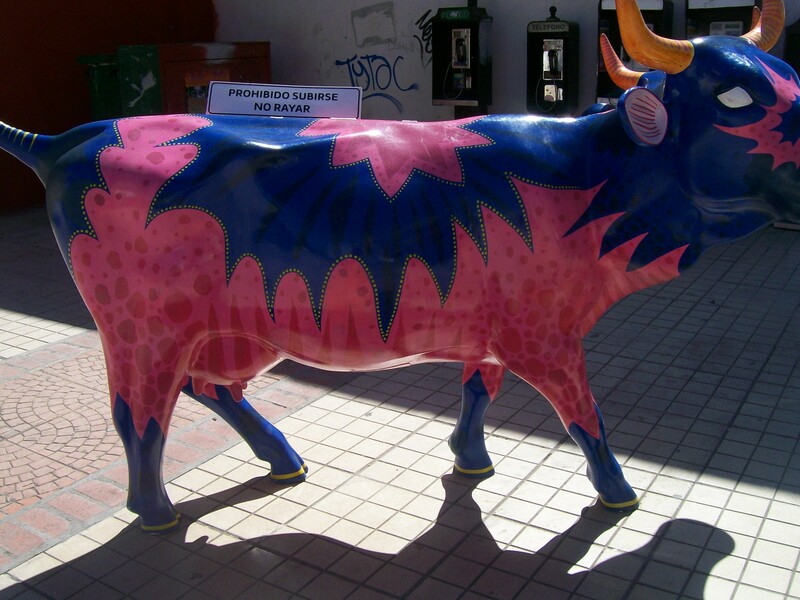 They´re a fun addition, so swing by downtown before September 15th and see them!